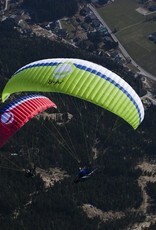 Bright5 – fifth generation of the best beginners choice and choice of the pilots who are looking for fun. We believe that every pilot flying Bright5 will be very happy with this glider in terms of its flight characteristics, exceptional safety and really nice handling. 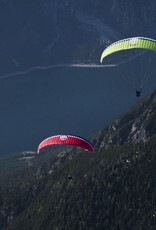 Enjoyment was a must for us while developing the glider and we are sure this attribute was also fulfilled. If you are an occasionally flying pilot, maximum safety is the most important for you. 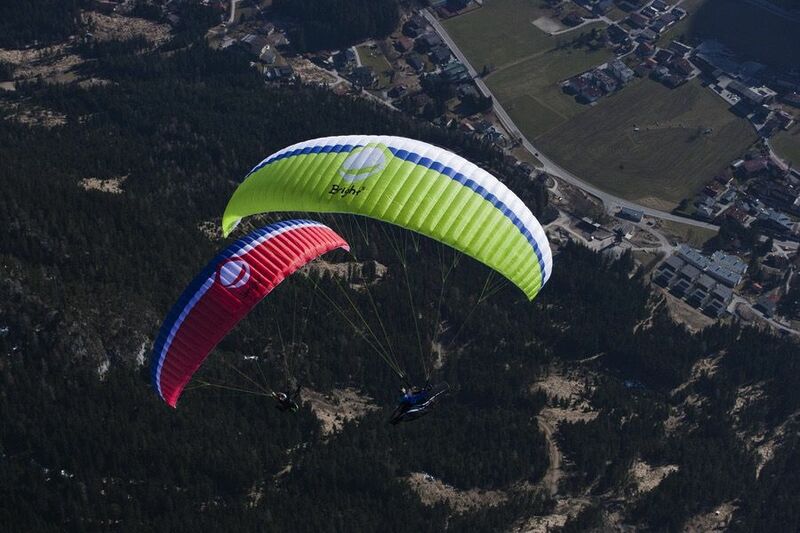 Or if you just want easy flying wing with incredible fun element, Bright5 is exactly for you. All these characteristics and also very good performance in its class are challenge for cross country flying. 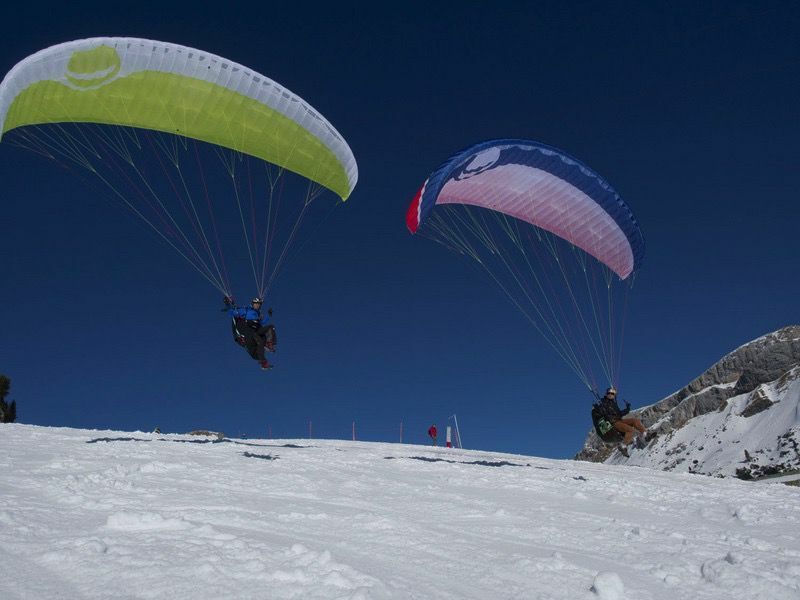 If you are operating paragliding school and you want to provide the best services and courses for newcomers, with Bright5 you will definitely not be disappointed. Bright5 is the best school glider Gradient has ever built. 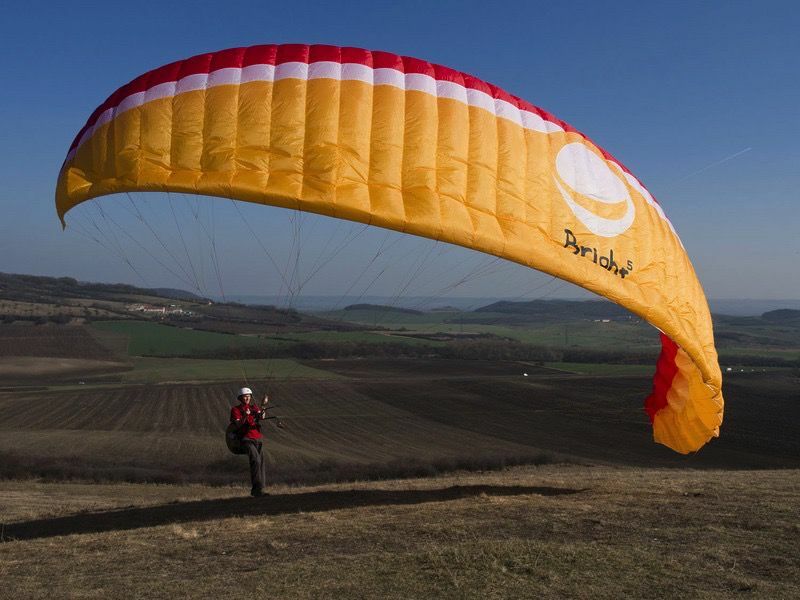 Bright5 is offered also as multipurpose freeflying / paramotor paraglider. For this Gradient offers special multipurpose risers equipped with trimmers and different attachment points. 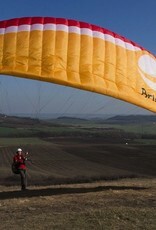 Technical Data Characteristics The Bright5 is a basic/intermediate paraglider (homologation EN/LTF-A). Take-off characteristics are very simple. It comes up without using any force – you can even launch it simply by moving your body, without holding the risers. While coming up, the glider will straighten itself automatically. Once up, it doesn’t overshoot, so there is a plenty of time to get full pre-flight control. The length of the brakes means they can absorb small errors in pilot control, but there is still a defined brake pressure in any position. 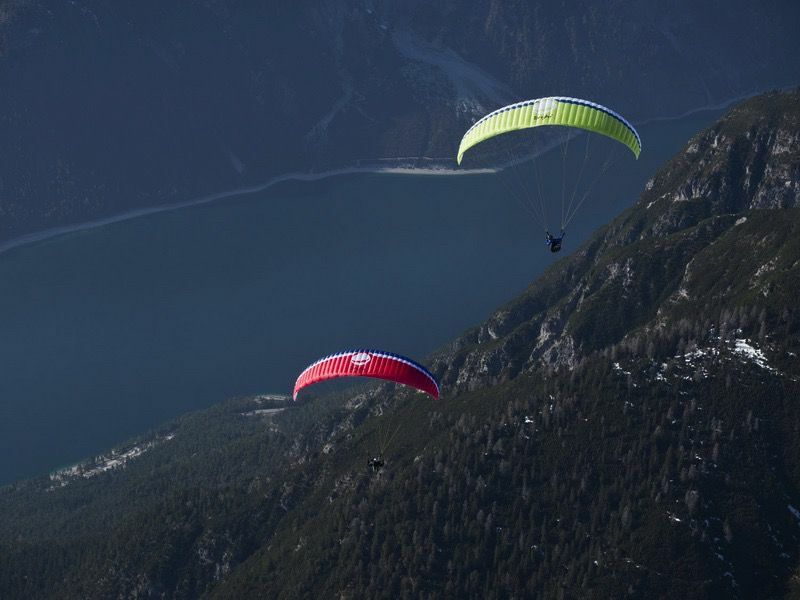 Together with the wing’s stability in flight this makes taking off easy and fun. In flight, the wing reacts immediately to weight shift, meaning you can use small thermals and dynamic wind in a very effective way. A clear and defined stall point on the brakes means the risk of over-braking or flying too slowly is minimized. Elegant ideas, intelligent solutions and responsibility are our watchwords not only for Bright5 Everlast The Bright5 is another Gradient glider where we have used Everlast, a new double-coated Porcher material. This Gradient exclusive material provides gliders with long-term stability and durability. Another small, simple details are making this glider complete. Inside, the inner working of the profile is a result of Gradient’s sports class glider development. Using the latest software means the tension of the profile could be increased without compromise. These improvements have allowed the Gradient team to tune the whole wing without compromising safety. Small, simple details make this glider complete. The Golden4 is another high-end product, the result of Gradient’s successful design philosophy that in the air, progress means simplicity. Finding elegant solutions to creating that simplicity is the art of building a Gradient wing. Construction Glider’s profile has been specially developed to deliver maximum stability over as wide a speed range as possible. The design and camber of the central curve in the glider give maximum resistance to collapse of the leading edge. The position and size of the cell openings help support this objective. The leading edge is reinforced using integrated nylon and elastic. This ensures optimal inflation of the canopy and helps to retain perfectly clean shape of the leading edge at all speeds. The well-proven three-and-half-rows and three-riser line concept with progressively differing diameters is used - a system Gradient has been using for years. 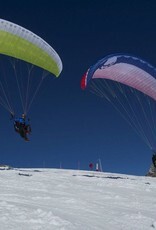 The Bright5 is another Gradient glider where we have used Everlast, a new double-coated Porcher material. This Gradient exclusive material provides gliders with long-term stability and durability. Another small, simple details are making this glider complete.